Last year, the FCC considered lowering the threshold for what qualifies as broadband, which is currently set at 25 Mbps (download) / 3 Mbps (upload), by returning it to the previous goal of 4 Mbps/ 1 Mbps. The slower benchmark was raised in 2015 under FCC Chairman Wheeler to reflect changing usage patterns and multiple device use within single households. By returning to pre-2015 benchmark speeds, underserved and rural areas would be considered adequately served and would receive less funding for upcoming broadband services, whether fixed or mobile. With this context, the FCC’s 2018 Report on Broadband Deployment maintains the existing benchmark of 25 Mbps/3 Mbps, stating that it remains an appropriate measure to assess whether a fixed service provides advanced telecommunications capability. The FCC also established a new standard for mobile broadband as a connection of at least 10 Mbps. Nationwide, urban networks are already ahead of the FCC’s goal. The current focus will be to reach the remaining 24 million Americans who do not yet have access to minimum benchmark speeds. Fixed and mobile services provide access to information, entertainment, and employment options. However, there are clear variations in consumer preferences and demands for fixed and mobile services. Neither fixed or mobile services should be considered as a substitute for the other; both types should be adequately available to all Americans. Recently, several broadband advocates raised concerns the FCC would combine fixed and mobile statistics in this year’s report, which would have made the appearance of greater success by considering areas with mobile (LTE) access, but slow or no fixed broadband service, as having adequate coverage. They had no reason to worry: the FCC conveyed that it will continue to assess fixed and mobile networks separately. In a small change to the previous administration’s approach, the FCC under Pai will additionally gauge broadband progress for both fixed and mobile toward a common speed/capacity goal. While the previous FCC leadership viewed anything less than 100 percent deployment to be a failure, this new approach offers more flexibility in its interpretation. 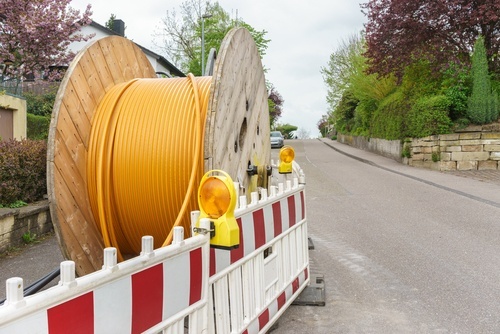 Combining new policy changes and a vocal re-commitment to closing the digital divide across the U.S., the FCC is taking visible action to encourage broadband deployment to underserved rural and tribal areas. In the first post in this series, we looked at how repealing the Title II Order will help fuel faster broadband deployment, and in the next post we discuss how the FCC’s Connect America Fund reverse auction will deliver financial support to help service providers extend broadband to areas with extremely high deployment costs.